Waking up in the morning is the worst, but it has to be done. Thank God we have coffee to get us kick-started. 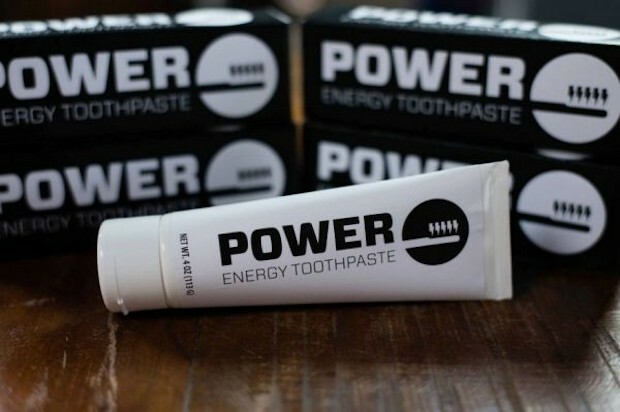 If that still isn’t enough to get yourself going, here’s a new product that is in development that will make your morning easier: Power Energy Toothpaste. It has caffeine, so it wakes you up as you brush your teeth. At last, no more dipping that loaded-with-toothpaste toothbrush into your coffee. It is always such a mess and it ruins the flavor. Entrepreneur Dan Meropol invented Power Energy Toothpaste it as a way to encourage people to brush more. Meropol thinks that a rush of caffeine will reward users for brushing their teeth in the morning. Maybe he’s right, but I would rather get my caffeine the old way. Besides, drinking it is actually part of people’s morning ritual. Still, if you’d like to add a little boost to your brushing routine, you can get a tube by pledging at least $15(USD) over on Indiegogo.